Within the first moments of researching the island of Borneo, I realized I was traveling into a wildlife paradise. Besides the Indonesian island of Sumatra, Borneo is the only place in the world where elephants, tigers, rhinos, and orangutans live together. There are also hundreds, perhaps thousands, of other species of animals on the island, many of which are endemic to Borneo. The island of Borneo is divided into three countries. The north part of the island is part of Malaysia, divided into the two states of Sarawak and Sabah. Nestled inside this northern portion is the small oil sultanate of Brunei, approximately occupying about 1% of Borneo. The rest of the island belongs to Indonesia. Grabbing a flight from Penang in west Malaysia for less than $25, I flew to Kuching, the capital of Sarawak, on the western side of the island. For the next month I would slowly travel across East Malaysia through Brunei and into Sabah. 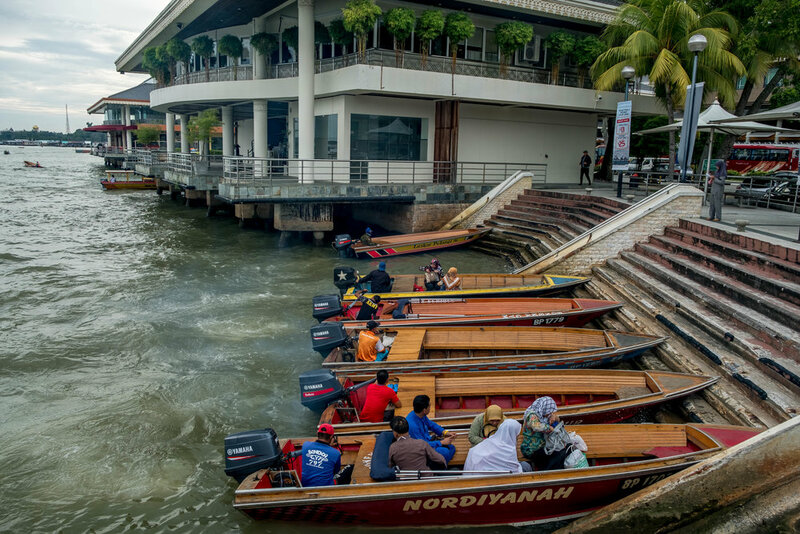 Kuching is the gateway city for many of the various adventures in the state of Sarawak. 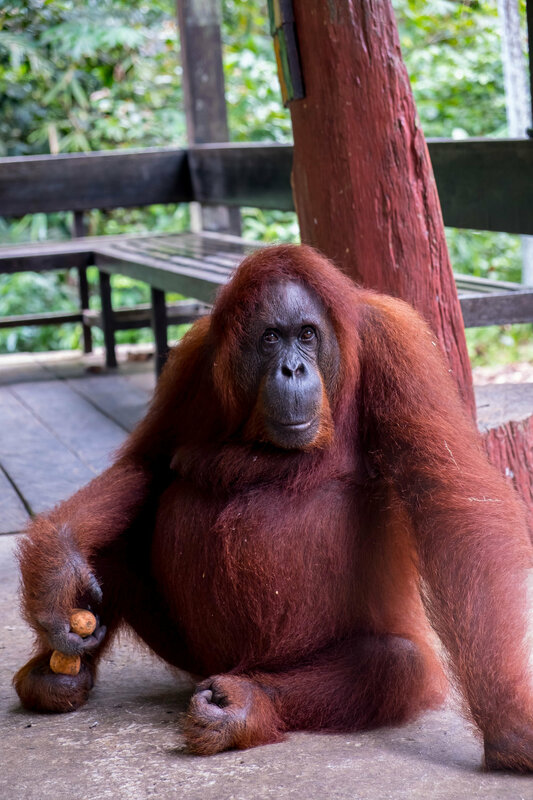 Outside the city lies the Semmenggoh Orangutan Wildlife Rehabilitation Center and Bako National Park. I prefer to see animals in the wild, but I didn’t want to pass up the chance of seeing orangutans. Even within the rehabilitation center there isn’t always a guarantee that you will see one. The center is open twice a day, once in the morning and afternoon when they bring out fruit to feed the orangutans. I was the first one to arrive for the afternoon opening and was very lucky to see the oldest female in the park before all the other tourists arrive. 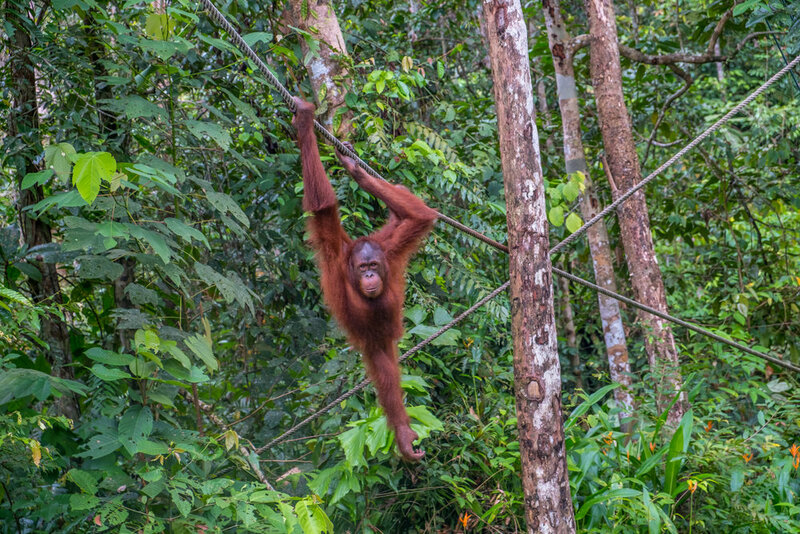 The orangutans are quite magnificent to behold as they cartwheel climb along the ropes. While I was there I saw three orangutans, the oldest female in the park and two younger males. A short one-hour bus ride from Kuching to the north brings you to the boat terminal that accesses Bako National Park. Bako is one of the best places to see the endemic Proboscis Monkey, who are instantly recognizable by the grandeur of their noses. While I hiked all around the island, the best place to view the wildlife was within the mangroves that surrounded the boat terminal. With clockwork precision, the Proboscis monkeys would arrive around 3 in the afternoon at low tide and eat. Judging the size of their stomachs it is safe to assume these monkeys spend every waking moment eating. In fact, it is quite surprising to see them swinging and jumping gracefully through the trees with potbellies that would make any beer enthusiast proud. Other wildlife in the park included the well-known clever and slightly aggressive long-tailed macaque. Perched in trees along the trails or on the ground, they are always ready to jump down and grab anything out of your hands that look like food. If you leave your backpack unattended for any short period of time a macaque will almost always be there, quickly figuring out how to open and scavenge through your belongings. Even though their behavior can be annoying and even scary when they get aggressive, your heart almost always instantly forgives them when you see one of the cute babies. 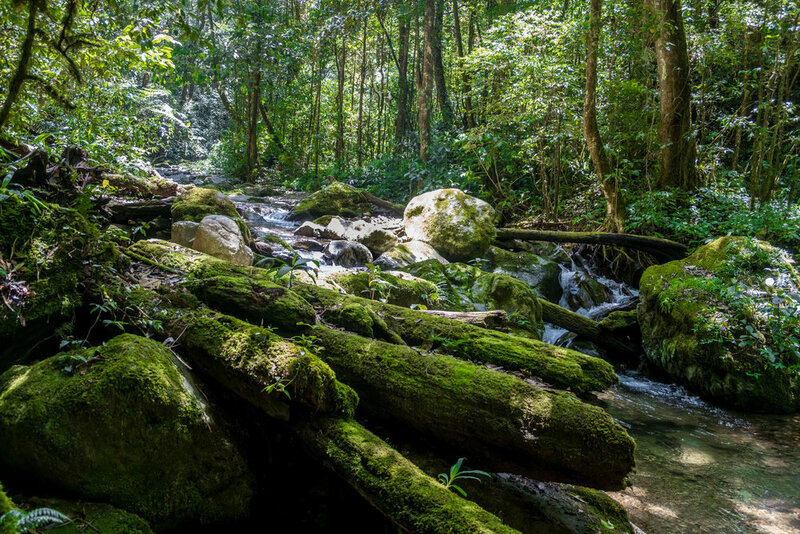 The Kinabtangan River is hands down one of the best places to visit in Borneo for wildlife. Little riverboat excursions up and down the river bring you close to many different animals. The chance of seeing wildlife is high because of the growing Chinese palm farms that are slowing replacing all the jungle. As the palm farms grow the animals get pushed into smaller areas to live, bringing them closer to the river and not allowing them to travel very far awhile. During my first boat trip I saw more Proboscis monkeys, pig-tailed macaque, silver leaf monkeys, monitor lizards, crocodiles, piebald and wrinkled hornbills, several different kingfishers, other birds, one huge wild boar, and long-tailed macaque. Unlike the long-tailed macaque I had encountered before around the world, seeing them truly in the wild, without familiarity with the food people bring, they were incredibly more docilely behaved. Unfortunately, I was not equipped with a telephoto lens to capture the wildlife around me. On the second boat trip we went on a longer excursion in hopes of finding the famous pygmy elephants of Borneo. After hours of searching up the river, stopping to talk to locals, jumping out of the boat to follow tracks multiple times, we never got the chance to see one. On the brighter side, we spotted a mother and baby orangutan with another adolescent in the trees above us. It was a much different experience than seeing one in a wildlife center. It was definitely a highlight getting to see an orangutan in the wild. One of the best scuba diving spots in Malaysia is off the coast of Semporna. The most famous island, Sipadan, is well known for various species of sharks, green and hawksbill turtles, and the occasional eagle and manta rays. The nearby islands of Mabul and Kapalai are meccas for macro marine life, underwater creatures that are smaller than a quarter and require a keen eye to spot. Without the help of my dive master I would never have seen them at all, and they were much too small to capture with my GoPro. Traveling overland from Sarawak to Sabah you have to go through Brunei Darussalam. Honestly, there isn’t too much going on. There are some beautiful mosques and Kampong Ayer, the water village that houses roughly 10% of the country’s population. Beyond that I can’t say much about Brunei. 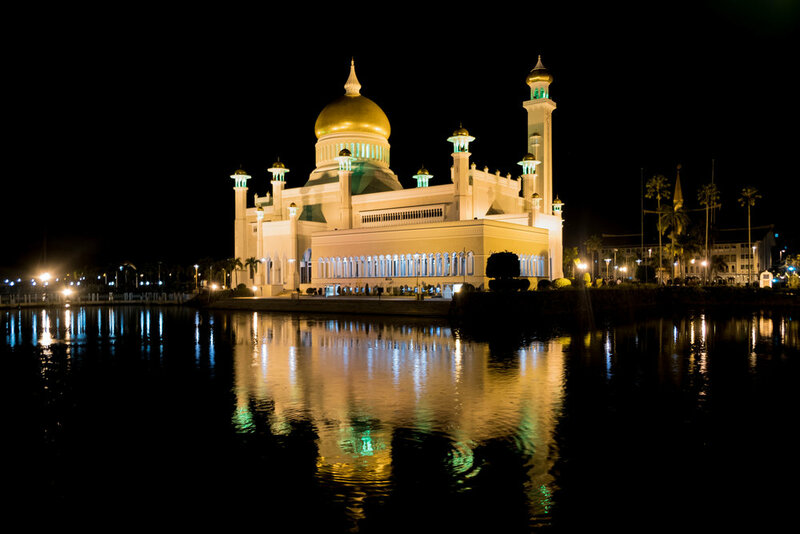 If you are traveling across east Malaysia I believe Brunei is worth a stop. It has an interesting mix of ethnicities in the city and the mosques look just as fantastic at night as they do during the day. While I was in Kota Kinabalu, I got the opportunity to head to the village of Sungai Magadai with SWEPA (Sabah Women’s Entrepreneur and Professional Association). The organization had previously funded a few women from the village to attend a six-month course in India to learn solar engineering. Known as the Barefoot College, the Social Work and Research Centre was founded in 1972 in the village of Tilonia, Rajasthan. 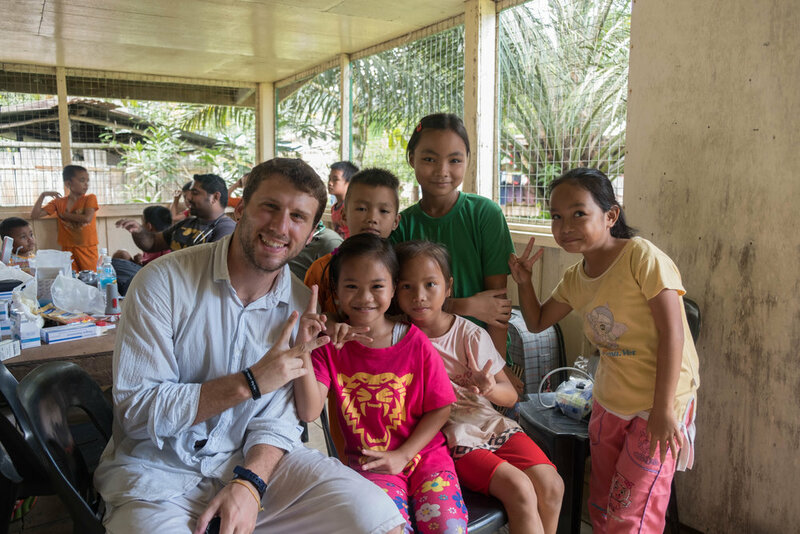 The school provides education for people who earn far less than $1 a day and its student base is primarily female. With the help of SWEPA, three women from Sabah traveled to India to become students at the Barefoot College. 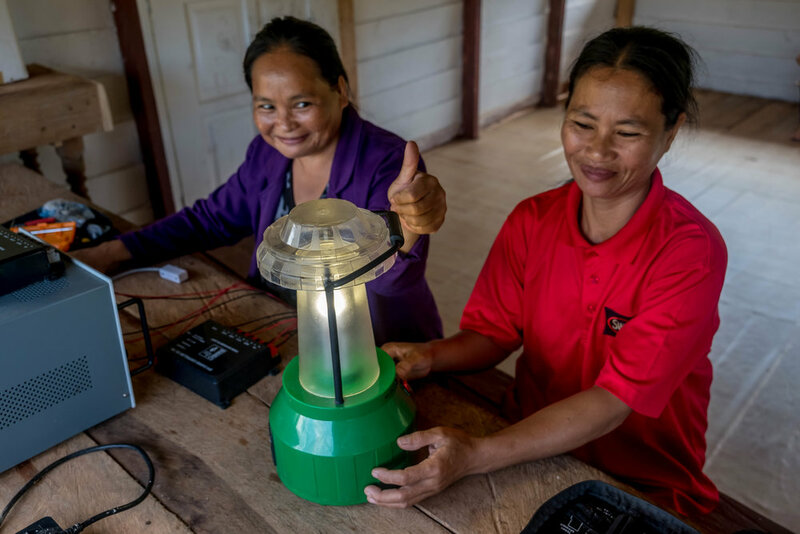 After six months they returned to their villages with the knowledge to provide solar power to a region cut off from the rest of the country. 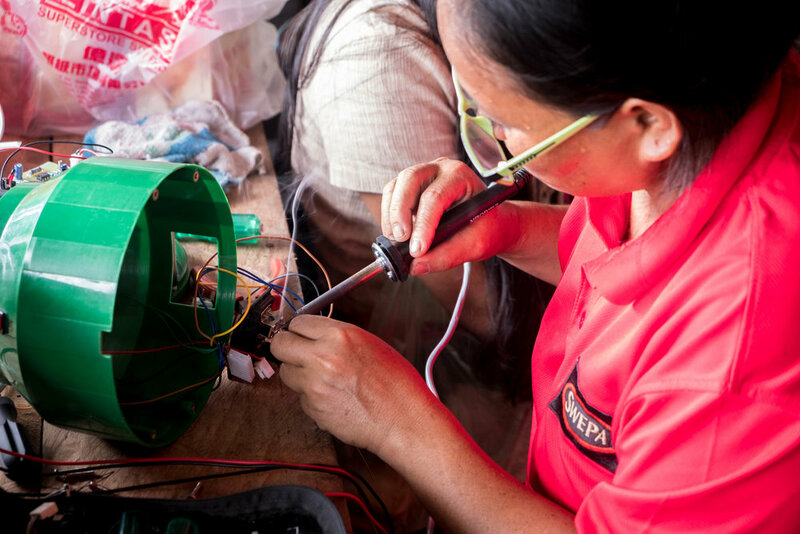 With the help of SWEPA they are able to get the materials they need to provide solar energy for their village. Getting to Sungai Magadai was an adventure in its own right. From Kota Kinabalu to Kota Marudu there is a two-hour car ride. From there you head into the jungle in 4x4 trucks. Depending on the condition of the muddy roads it can take anywhere from 4-8 to reach the village. It was a very inspiring journey to see the solar work completed by the “barefoot grandmothers” and how SWEPA continues to work to provide funding for solar materials and hopefully send more women to learn in the future. Kota Kinabalu has some of the most consistent beautiful sunsets of anywhere I have been in the world. Enjoy the beauty and some other shots from around Borneo.